If decay has caused your tooth to split all the way down the middle, it won’t be able to properly heal back together, even via a filling. According to the American Association of Endodontists (AAE), a tooth with a crack that extends below the gumline is a prime candidate for removal. During treatment, the dentist will numb the area to prevent discomfort, then use a lever-like appliance to loosen your tooth while it’s in your socket. Next, they’ll extract your tooth with forceps before applying gauze that you’ll bite on for at least 45 minutes. This allows a clot to properly form and effectively stop the bleeding. Root canals are ideal for saving viable teeth that are diseased, damaged, or contain dead pulp. When your pulp is damaged, it affects its ability to provide blood flow to your tooth. 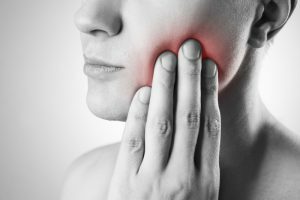 When your tooth is damaged, either through decay or force trauma, bacteria can easily reach your pulp and infect it, causing swelling and eventually death of the pulp’s tissue. Similar to an extraction, your dentist will first numb the area and then make an opening in the affected tooth so they can remove any dead pulp. Next, the remaining pulp chambers are cleaned of all bacteria and filled with a dental material known as “gutta percha.” This effectively replaces the damaged area of your pulp. Finally, your dentist will place a crown on top to restore your tooth’s appearance and strength. After extraction, light bleeding is common for about 24 hours afterwards. It can take at least 2 weeks for the extraction site to fully heal, so during this time, make sure to brush gently to avoid irritating the area further. Stick to eating soft, cool foods; as you heal, you’ll gradually resume your regular diet. After a root canal, you’ll likely feel some soreness for a few days. This discomfort can be easily managed with an over-the-counter painkiller, such as ibuprofen. If pain goes away and then returns or if the pain is too substantial to handle on your own, visit your emergency dentist for further treatment. Your dentist can provide the best judgement when it comes to getting a root canal vs. an extraction in Rockledge. Schedule a visit with them today to learn which option is best for you! Dr. Sowmya Kumar, graduated from the University of Florida College of Dentistry with a DMD degree. Prior to moving to the U.S., she earned a Bachelor’s of Architecture from Mangalore University in India. She believes dentistry is about passion, healing, compassion, and providing patients with improved smiles. To learn more about her practice, contact her at (321) 631-4334 or visit her website.